Our Client was a legal permanent resident facing deportation because of a family violence accusation. After several court hearings on the matter, Attorney Adrian Flores was able to get records where the complaining witness recanted and stated that our client had never assaulted her. The prosecutor summarily DISMISSED all charges and therefore, our client is no longer facing any immigration consequences. Our client was charged with a third driving while intoxicated Felony offense. Attorneys Shawn Brown and Bryan Orihel carefully went through all the reports and video evidence of the officers' body cams and dash cams. Shawn and Bryan were able to discover that the state did not have any evidence that our client was actually operating the vehicle. Shawn and Bryan took the FIGHT to the State and proceeded to a jury trial. After testimony from 2 witnesses and a thorough cross examination of the States' witnesses by both Bryan and Shawn, the Prosecutors realized that they did not have evidence to prove their case and filed a Motion to DISMISS in the middle of trial. Upon being hired on a driving while intoxicated case, Attorney Shawn C. Brown immediately started to investigate the circumstances of the arrest. Being a native of San Antonio, Shawn immediately knew the facts of the case did not add up. Shawn’s client was arrested by a Hollywood Park Police Officer in the City of San Antonio. Shawn was able to show none of the facts of this alleged offense occurred within the Hollywood Park city limits and therefore the arresting officer did not have jurisdiction for the arrest. Due to these facts, the prosecution was forced to DISMISS the case against the client. Our client was at Whataburger waiting on his food when a citizen called 911 and said he was passed out in the drive thru line. As the officer pulled up, he had his dash cam video on and it showed the drive thru. Upon arguments, Attorney Shawn C. Brown was able to demonstrate that our client did not commit any Traffic Code violations and that the detention and arrest of our client was unlawful. After FIGHTING for our client in Court, the case was DISMISSED. Upon allegedly swerving between lanes, our client was pulled over by the local police. After performing the field sobriety tests, the client was arrested for driving while intoxicated. Attorney Bryan Orihel reviewed the state’s evidence and found multiple inconsistencies with their case. He was able to show that the client should not have been pulled over for weaving, and the administration of the field sobriety tests was not performed properly. There were also several inconsistencies found in the officer’s report to what actually happened on the videos. Bryan forced the state to trial, and the state DISMISSED all charges. Our client suffered a blown out tire on the road and was waiting for a tow truck to come to the scene. The police arrived before the tow truck got there and immediately began a driving while intoxicated investigation on our client. The client was arrested after completing the Standard Field Sobriety Tests and submitted a breath test result of .15. Attorney Bryan Orihel was able to present to the prosecutors that there was no probable cause to arrest the client, highlighting the fact that she was able to do the field sobriety tests fine in high heels. Bryan forced the state to trial, and the state decided to DISMISS all charges. Our client was arrested for a driving while intoxicated second offense after being involved in a single vehicle car accident. After the car accident, the client was taken to the hospital where his blood was drawn. Attorney Bryan Orihel was able to meet with the state’s attorney and pointed out that the blood was not drawn in accordance with the proper legal procedures, thus was not admissible in court. The state’s attorney decided they did not have enough evidence to proceed further to trial and the case was DISMISSED. Our client was pulled over by the police for an alleged improper lane change. The client complied with all instructions and field sobriety tests but was ultimately arrested for DWI and his blood was later taken. Attorney Bryan Orihel reviewed the case and found multiple problems with the state’s case. The traffic violation alleged did not occur and the client showed no signs of intoxication when talking with the officers. Bryan met with the District Attorney's office and pointed out these flaws in their case. The state DISMISSED all charges against the client. Our Client was pulled over for allegedly failing to maintain a single lane of travel. After completing the field sobriety tests, the client was arrested for driving while intoxicated and his blood was later drawn. Attorney Bryan Orihel reviewed the case and found multiple issues with the state’s case. At a motion to suppress hearing in the court, Bryan pointed out to the judge that the client did not commit the alleged traffic violation. He also pointed out that the officer has no reasonable suspicion to continue to detain the client because he did not show any signs of being intoxicated. The Judge ultimately agreed and granted Bryan's motion to suppress which resulted in the state DISMISSING all charges against the client. Our Client was arrested for DWI after falling asleep in his car at a stoplight for a short period of time. The client consented to the field sobriety tests and his blood was later taken from him. Attorney Bryan Orihel reviewed the video and found several inconsistencies with the state’s case. Bryan set the case for trial, and after meeting with the state, all charges were DISMISSED. Our Client was pulled over for allegedly failing to maintain a single lane. After agreeing to perform the field sobriety tests, the client was arrested for DWI and his blood was later taken by the police. Attorney Bryan Orihel reviewed the case and found several issues with the state's case and the blood testing. The case was set for trial and the state DISMISSED all charges against our client. Recently, our client was involved in a single vehicle accident and sustained several injuries. The police arrived on scene and followed the ambulance to the hospital where they proceeded to perform field sobriety tests on the client while he was in his hospital bed. Upon reviewing the case, Attorney Bryan Orihel pointed out several weaknesses in the state's case concerning the proper procedure for field sobriety testing and reasonable suspicion to arrest the client. Bryan decided to set the case for trial, and after meeting the state, all charges were DISMISSED against our client. Our client was pulled over for allegedly swerving in her lane. After the client agreed to perform the field sobriety tests she was arrested for DWI. Attorney Bryan Orihel reviewed the case and found several problems. Bryan found that the traffic stop was not a traffic violation and reasonable and the proper breath testing procedure was not performed to have an accurate breath test. The case went to trial, and after proceedings began the state DISMISSED all charges against the client. Our client who is currently a college pre-med student was wrongfully arrested for a DWI with a breath test following an investigation by an inexperienced officer. Attorney Adrian Flores was able to show that officer had jumped the gun during her investigation and the District Attorney DISMISSED all charges. After a verbal altercation, our client was charged with terroristic threat to a family member. Upon carefully reviewing the case and evidence, Attorney Bryan Orihel was able to point out to the State's attorney that the charges were false and his client was innocent of the charges. Bryan forced the state to trial, at which the charges were dismissed. Recently, The Law Office of Shawn C. Brown handled a breach of contract claim. This is a type of case that the firm does not usually handle. However, this did not deter the attorneys from adequately representing the client. The case was given to newly licensed attorney John Anthony Gomez who picked up the file and was ready to go to trial after the opposing side refused to settle outside of court. With the client’s best interests in mind, Attorney John Gomez fought hard at trial and received a favorable judgment for our client, requiring the opposing side to pay our client’s: damages incurred due to the breach of contract, court costs, and reasonable attorney’s fees. 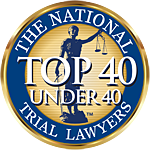 This was a proud moment for the firm because it proved that we are capable of successfully handling a variety of issues due to our strong work ethic, and our endless goal to fight for our clients’ rights. Recently, our client was facing two white collar felonies. On one felony, Attorney Adrian Flores was able to show that the dispute at hand turned out to be a business relationship gone sour and the District Attorney subsequently DISMISSED the case as it was nothing but a civil dispute between business partners and therefore not a crime. In the instance of the other felony, Adrian was able to show discrepancies in the financial records and was able to get the case reduced to a misdemeanor deferred adjudication, in order to keep a felony conviction off his record. Upon being pulled over by state troopers on the highway for speeding, our client was arrested for possession of marijuana. Attorney Bryan Orihel was able to meet with the state's attorney and show that the troopers did not have a valid stop for the alleged speeding violation. As a result the state DISMISSED all charges. Our client was pulled over for a faulty taillight. The officer indicated that our client's taillight was broken and white light was emitting. After researching this issue, Attorney Shawn C. Brown was able to show the prosecutor that our client did not commit a traffic violation for faulty taillight and therefore the stop and detention of our client was illegal and unlawful under the 4th Amendment of the US Constitution. As a result, the prosecution was forced to DISMISS the case. Upon a traffic stop, our client was arrested for felony drug possession after the officers said they searched his person with his consent. During the investigation and review of all the evidence, including the body cam of the officer, Attorney Adrian Flores discovered that our client did not consent to the search. After conferring with the prosecutor, the case was DISMISSED as there was no legal justification for the detention and search of the client.